This post basically wrote itself, or to be more precise, my brother Lyle wrote it for me. This weekend saw the release of two very different albums by artists that I only just found out were the same person. I've listened to "Unless.." a handful of times now and it's as good as anything commercially out. Many of the tracks would be right at home on BBC 6 Music. If I had to liken it to anything I'd go with Young Fathers with a sprinkle of Andre 3000. Stand out track whether intentional or not is "America". I imagine it was difficult not penning something as compelling and earnest in the austere climate we're currently living in. Lyrics to the song can be found at the end of this post. Coincidentally there's been much tweeted this weekend by artists on the act of rating albums on the day of their release. As I've only heard "bad Sunday" the once, and with it being pizza boy's final album, it would be fatuous of me to comment at this point. I've only ever heard him on "Too Suss 4 TV" by The Suss Boys so I look forward to spending more time with this album and his previous work. 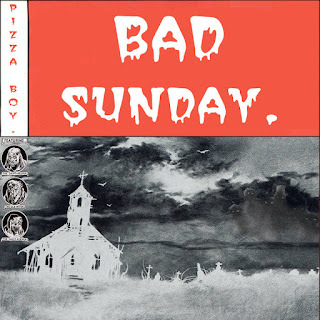 Edit - having had another listen "bad Sunday" is hyperbolic, ambiguous, and lyrically paradoxical. It's broken up by extrenuous skits and laced with some of the most legit hip-hop beats I've heard in a while. It's a mostly solid albeit maniacal end to pizza boy's consciousness and something akin to a 12 gauge to the listeners's head, with the terminal "laid to rest" a befitting burial track. The weirdos like myself will love this album. R.I.P. pizza boy. One year ago, my friend Melvin approached me for assistance with career direction. 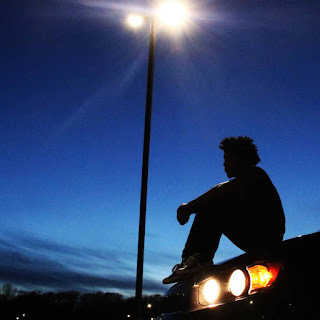 Melvin is a talented artist who I've collaborated with many times throughout this past decade but also someone who I believe never explored the breadth of their potential. I was on board to not only figure out a direction for Melvin but also for his alter-ego pizza boy, originally a side project which experienced some modest success early in it's inception after getting picked up by Pigeons & Planes.One year of re-focusing and re-calibrating later, I'm very proud to be able to present the final product(s) with you. Melvin's album is very eclectic pop music and pizza boy's album is gritty, cinematic rap. Both projects are executive produced by yours truly and I contribute production (beats, duh) on every song on bad Sunday. I turn 30 tomorrow and I couldn't be happier after spending my entire 20's toiling, trying to find a place for myself in this vast universe of music, that I was able to direct my creative energy into a vessel with so much more potential than myself. Together, I think we made two projects that will stand the test of time and I hope you don't sleep on them. That's all for now...thank you for all the love and support over the years as always and I wish you all nothing but health and happiness in the future. I'd like to say Happy Birthday to both Lyle and Melvin and hope this helps support both of them in some small way. As promised the lyrics to America are below. Have you never felt alone in AMERICA? Have you never felt not at home in AMERICA? Have you never felt exposed in AMERICA? Have you never been in the throes of AMERICA? Have you seen the spoils? Have you seen the treasure? So who can say it is the time to hate or the time to love?